Asterisms and constellations refer to celestial bodies that form a star pattern in the sky. In astronomy, the zodiac is a ring of constellations that fall within the ecliptic, or path of the sun throughout a year's cycle. The moon and many other planets fall within the ecliptic as well. The division of the ecliptic into the zodiac signs is believed to date back to Babylonian times in the beginning of the 1st millennium BC. 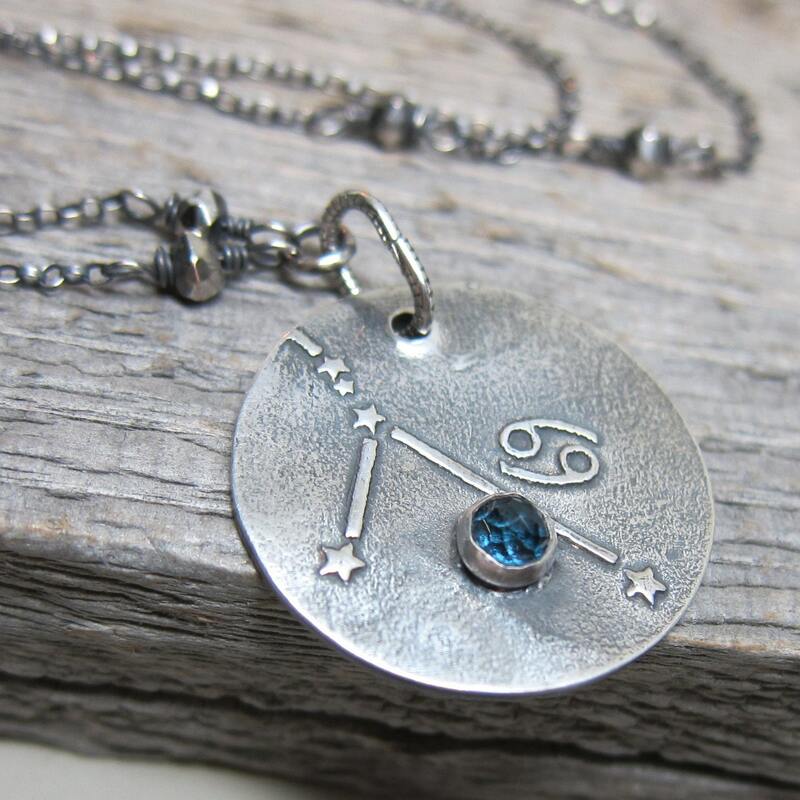 This handcrafted fine silver medallion features an imprint of my own vector constellation designs with the associated zodiac symbol. A 4mm bezel setting of genuine london blue topaz is placed in balance with the constellation. The gemstone choice reflects your sign's element of water. The delicate sterling silver rolo chain is adorned by star-like rough faceted silver pyrite. It measures 18” plus the extender at the clasp. 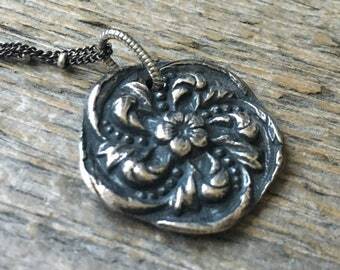 The pendant is just under 1” high and wide. This necklace has an antiqued finish. Metal clay work is a very involved handmade process which results in distinct and one-of-a-kind creations. Small variations and imperfections are part of the beauty and charm of this medium, and it can produce stunning results. Once fired, silver metal clay becomes .999 pure recycled fine silver.